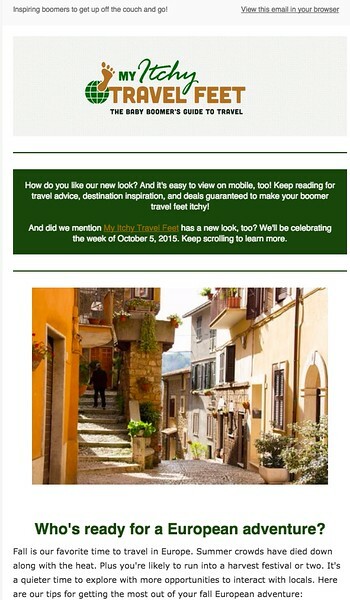 Scratch YOUR itchy travel feet with our FREE monthly newsletter. And subscribe to our weekly article updates too. By the time you’ve finished reading, you’ll be planning your next trip! And a gift to you for subscribing: Download our free 101 Boomer Travel Tips! Look for it in a follow up thank you email. So it’s your choice—sign up for our monthly newsletter, weekly articles broadcast or both! Either way, you’ll find travel goodness from My Itchy Travel Feet in your inbox.